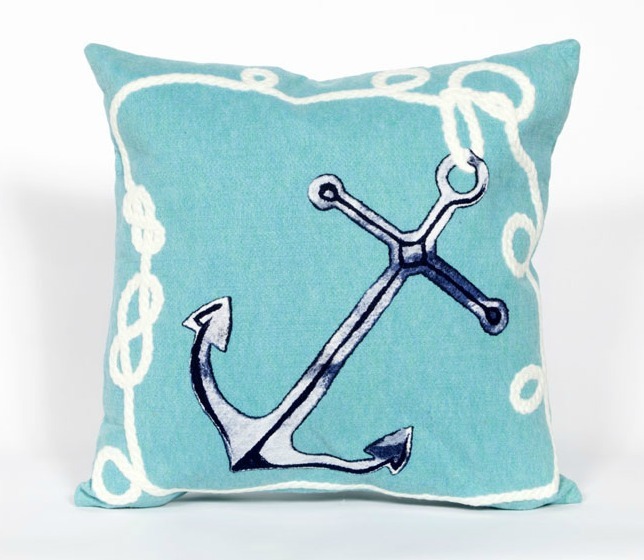 Everything Coastal....: Anchors' Aweigh Nautical Decorating! 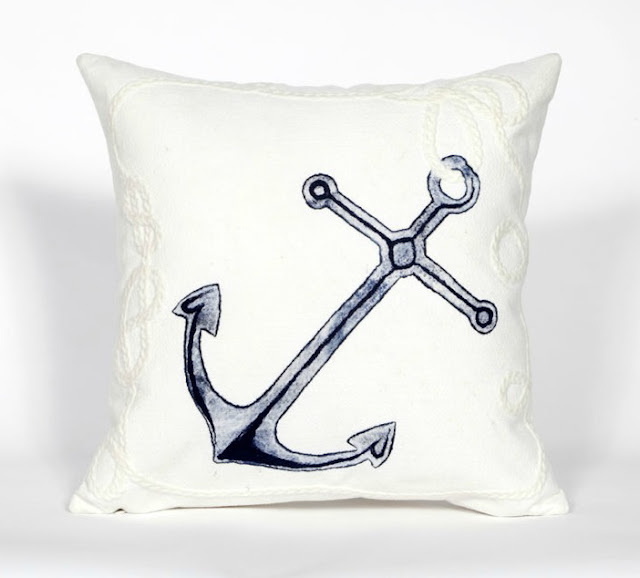 Not sure if I mentioned that I am a Navy Mom... and this Navy Mom is missing her sailor. Alex called last week from the Seychelles - after having maybe one too many rum drinks - lol! He's having a blast doing the "world" tour aboard the USS Harpers Ferry, LSD-49; visiting Hawaii, Hong Kong, the Seychelles and many more ports of call to come. Not sure where Alex is this week, or next - some where in the Indian Ocean? He did send me a Facebook note this week, requesting that I do not send any more chocolate. Apparently, the ship is underway somewhere in a hot climate and the chocolate melts all over everything else in the care-package boxes. Oops. 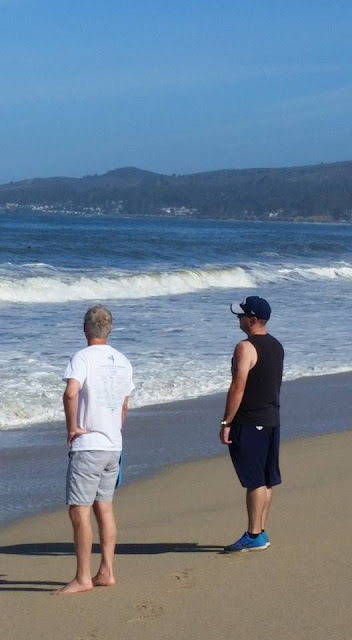 Here are my favorite men, enjoying our fabulous Half Moon Bay weather this past January when Alex came up for a quick visit before the ship left San Diego. I am SO proud of Alex and so proud of the person that he's becoming. Toasting his success this week with his pre-deployment gift of Bulleit Bourbon to Tom. 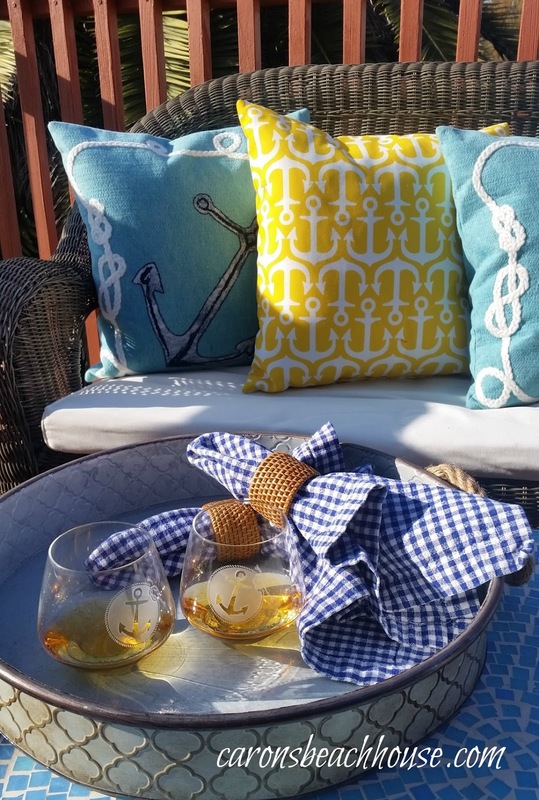 Cheers to the the US Navy! And because it's spring on our coast and we can finally start living outside again, I decided to change up the colors on our deck and add some nautical touches with a few new indoor-outdoor pillows from our store! 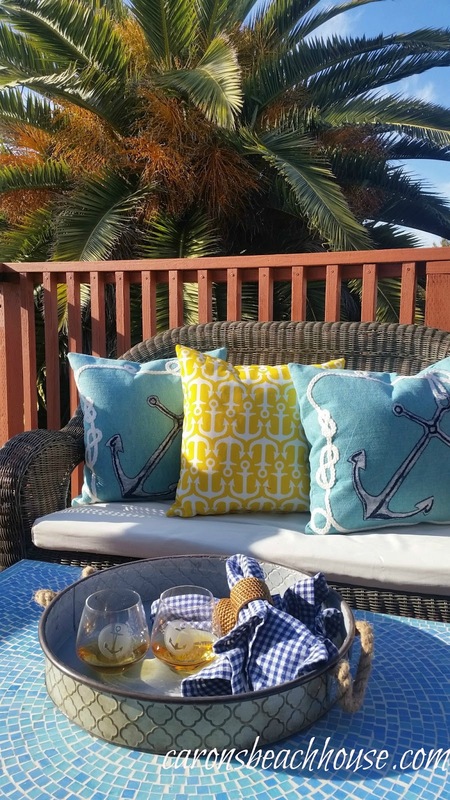 Loving the fun bright yellow, navy blue and aqua combo for this spring. 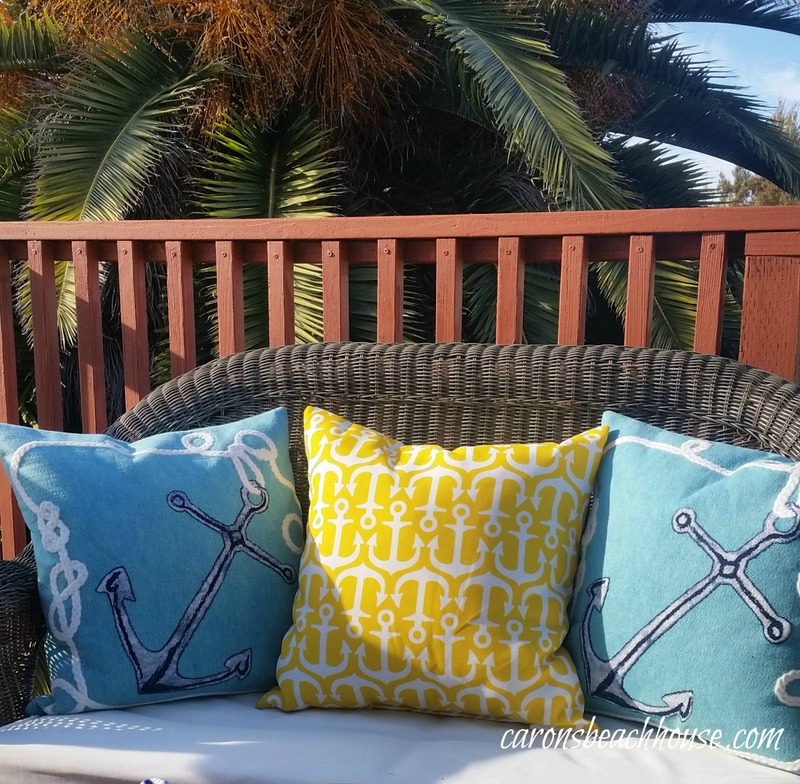 Create our look at your home too! 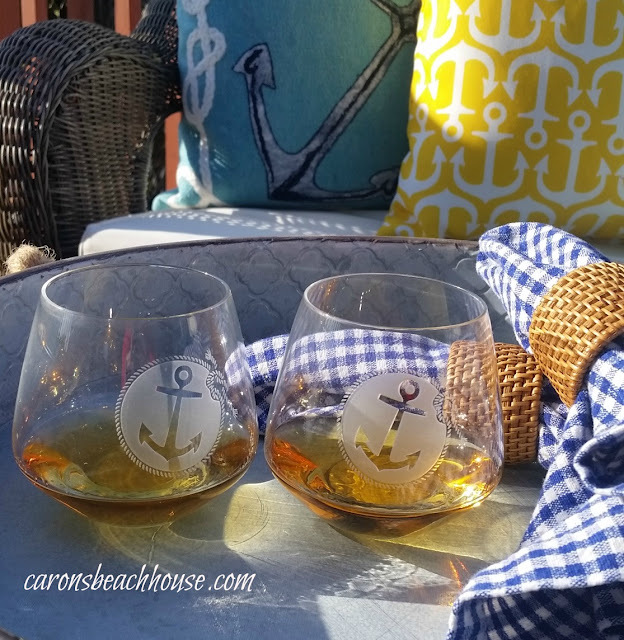 Anchorage Whiskey Glasses. 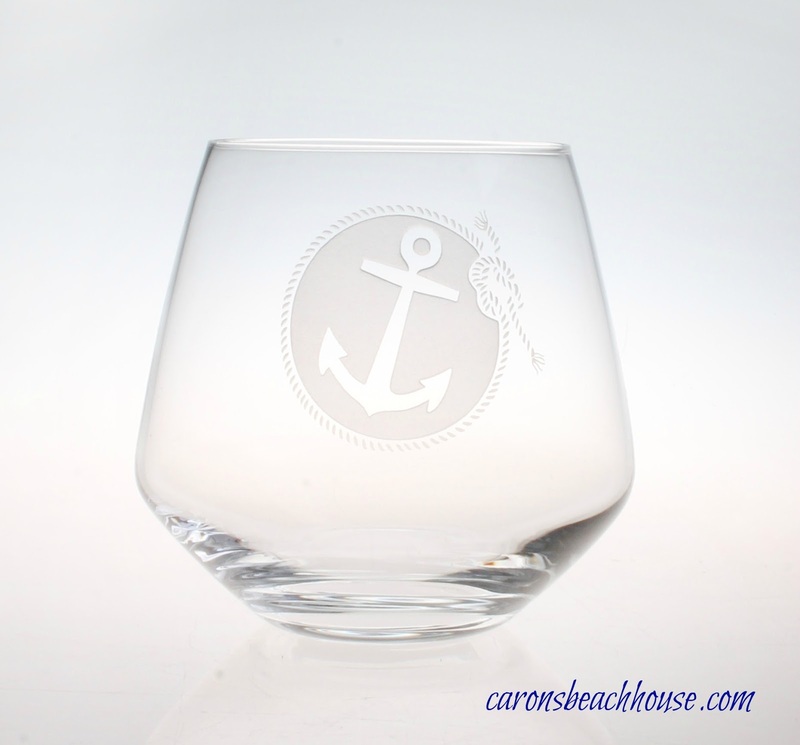 Etched with rope and anchor motif, perfect size for sipping whiskey, scotch or a fancy cocktail! Yellow and White Collection of Anchors Pillow. Way too fun! 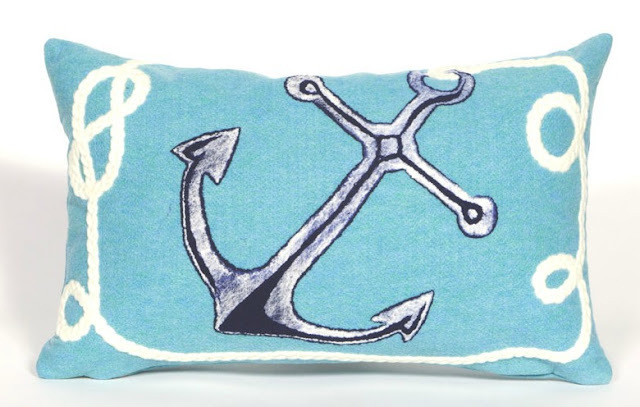 Available in more colors and 3 sizes. Comes in White and Navy too!